Middle school. That pretty much sums up Valentine’s 1991. I was in 8th grade and my sister Melinda was in 6th. All day long, I heard her name called repeatedly over the school intercom, “Melinda Kemp, to the office. Melinda Kemp, to the office.” Girls took turns making their way to the office to pick up some box of chocolate, a balloon trio or vase of FTD’s finest from their latest prepubescent crush. First period came and went. No flowers for me. Second period. No cuddly teddy bear holding a satin heart with the words “BE MINE” puff painted across the front. Third period, fourth period. The day dragged on and on. My heart sank. Was there noone on the face of the earth that thought I was worthy of a measly Valentine? Heck, by 7th period, I’d have settled for a half eaten heart-shaped box of generic dollar store brand candy, you know the kind with the strawberry flavored pieces that taste like Robintussin coated in chocolatey wax. Then, it happened moments before the dismissal bell rang. My name was called. “Valerie Kemp, to the office. Valerie Kemp, to the office.” I swear I heard angels singing the Hallelujah chorus. I gathered my books and headed down the hall making my way to the front office wondering which one of the teen heart-throbs in my grade had sent me a Valentine. Could it be chocolates, a teddy bear, balloons or dare I dream, a dozen roses? When I entered the front office, I saw Melinda’s arms loaded down with every type of Valentines imaginable. She even had a cart from the cafeteria to help with trinkets from her many suitors. The school’s secretary took one look at me and said, “Oh Valerie, thank goodness, you’re here. We called you to help Melinda carry her stuff home.” Fantastic. No Valentines for me. I was nothing more than a mere pack mule. With all her Valentine’s loot, my little sister looked like someone had thrown up a Hallmark store on her. We made our way to the bus dragging stuffed animals, oversized greeting cards, bouquets of roses and enough balloons to be airlifted home. As you might imagine, that bus ride will go down in history as absolutely the most unpleasant one ever and I once rode 16 hours to Daytona Beach on a school bus for a band field trip making the mistake of sitting in front of the tuba players who practiced the whole way there. I held it together until me and Melinda got home. Once there, I had one of those “life or death, everyone hates me, I will die an old maid, middle school was created by Satan meltdowns” while my poor mother and sisters watched in horror. There was no consoling me. Daddy got home from work late that night and shortly thereafter, a knock at the back door which my entire family insisted I answer. Oh yeah, that’s normal. Have your 13-year-old kid answer the door late at night when you’re not expecting company. I opened the door. No one. 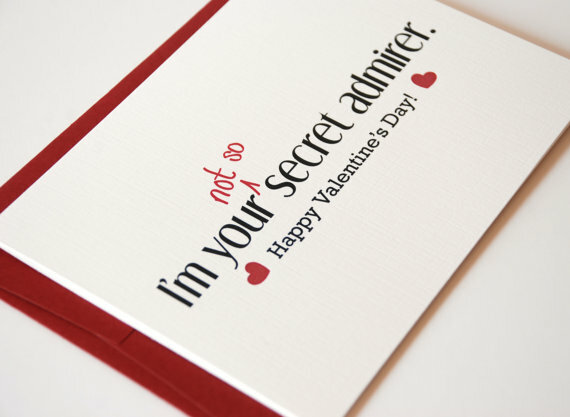 Just a white rectangular box with one long-stemmed fake rose and a card attached signed “To Valerie, from your Secret Admirer”. Finally, a Valentine just for me…..even if I secretly knew it was from my Daddy because he didn’t have the forethought to disguise his own handwriting! So for me, Valentine’s Day is about loving, encouraging, and including someone because after all, there’s an awkward middle school kid in all of us just wanting to feel loved and accepted. Even though there wasn’t a single middle school boy that day that professed his love to me, I was lucky enough to have parents and sisters who did and still do to this day. Let’s try to spread the love today. Happy Valentine’s y’all! You are an awesome lady with a compassionate heart. Amazing how our experiences mold and shape our lives. God, I haven’t thought of those awkward, and awful school days in years.